Today’s Fashion Friday is brought you all by Addition Elle! I have a monthly series that is usually centered around a theme that is posted on Wednesdays. 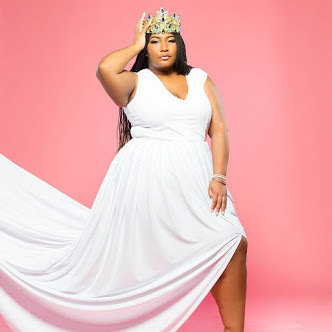 On Fridays I stray from that theme with my ongoing “Fashion Friday” post which feature my post personal style. 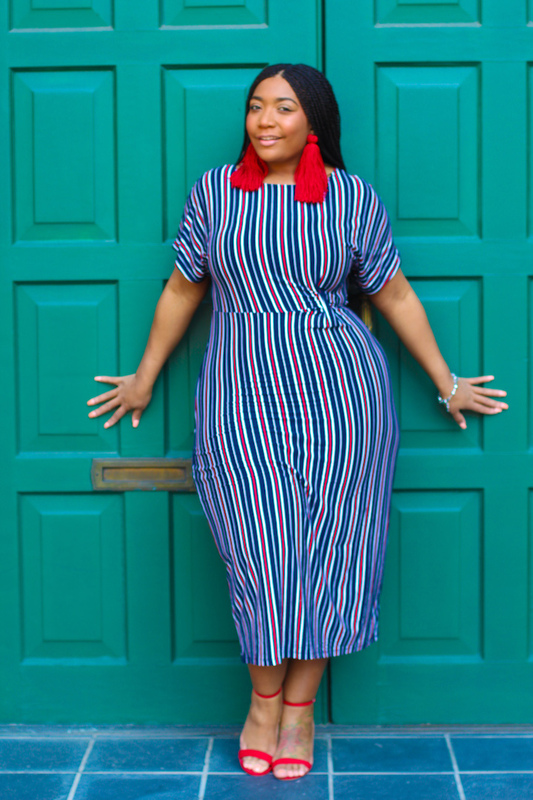 I love a good fitted dress and this striped midi dress is amazing. I think bodycon dresses are my most favorite type of dress. This dress is everything. It features a knot that contours your waist. 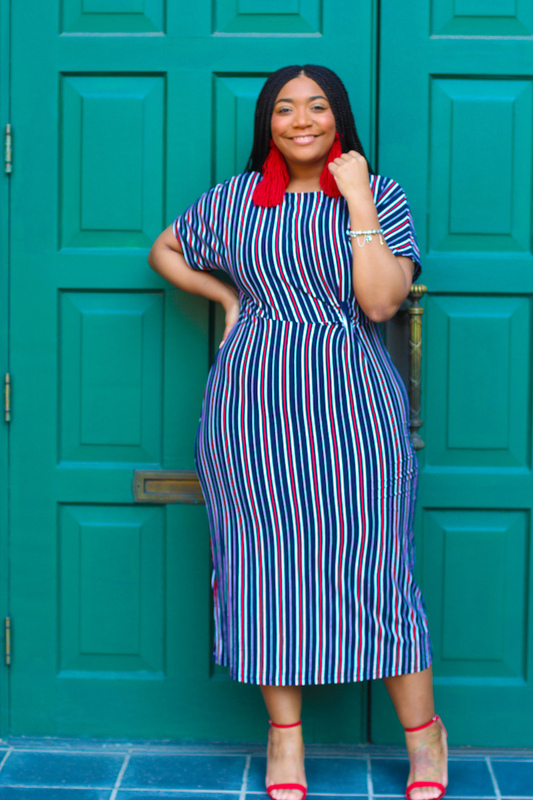 I also am in love with the length it is a true midi length dress. 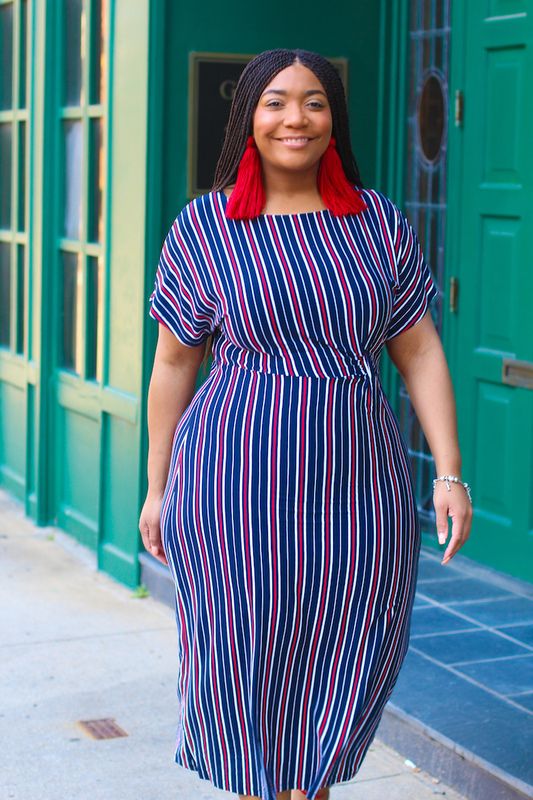 Lets talk about styling this striped dress! I knew that I wanted the red to be front and center. I pulled out my vibrant red block heel sandals that are super comfortable. My closet is filled with so many block heels and I am obsessed! I remembered my large fringe earrings, I love how these earrings sit on my shoulders. They add a little extra to every outfit. 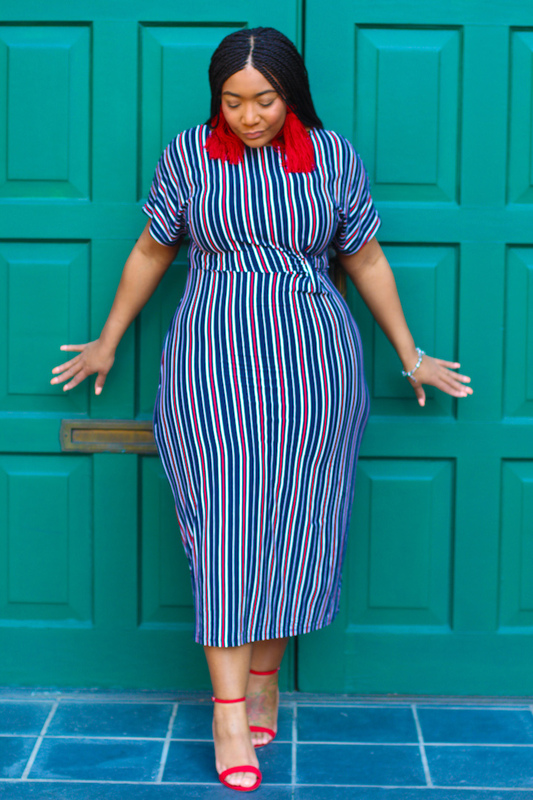 Style Notes: I am wearing a size 14 in my striped dress, this dress is stretchy yet true to size. My red block heel sandals are also true to size in a 10. *This striped was gifted to me from Addition Elle but all opinions are my own.